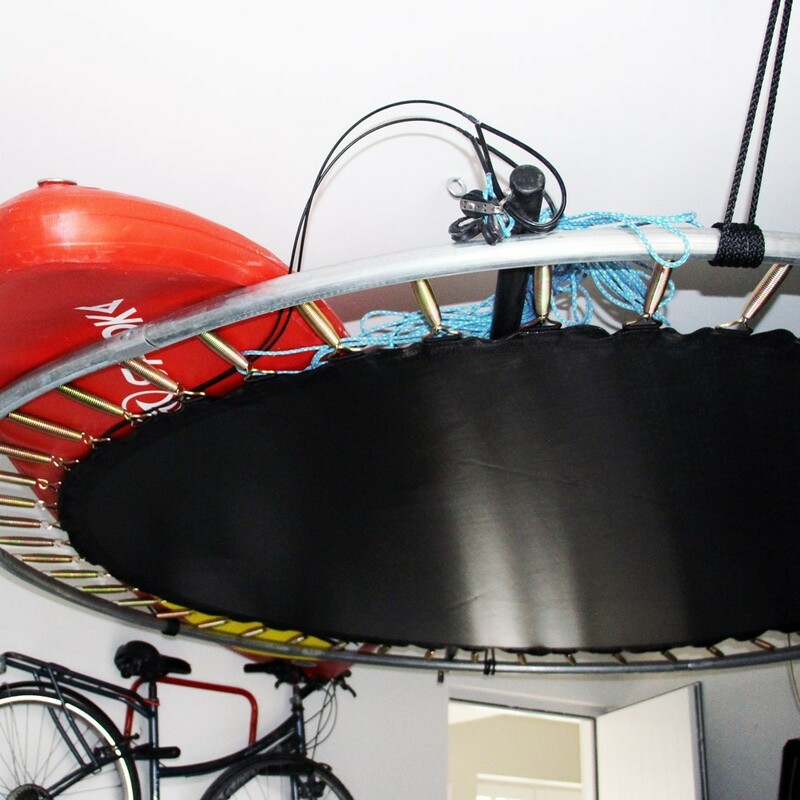 Garage storage unit with a 305cm diameter. Choose an additional storage space: the garage storage unit has a 305cm diameter. You don't have enough storage space in your house? Choose our garage storage unit! 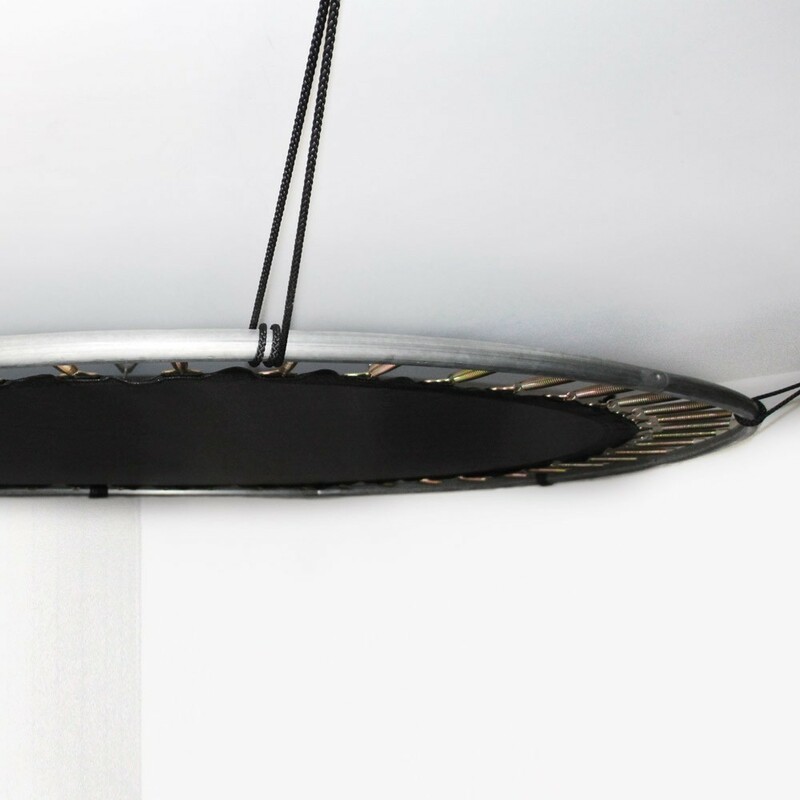 With an original design inspired by trampolines, offering a large and solid storage space. 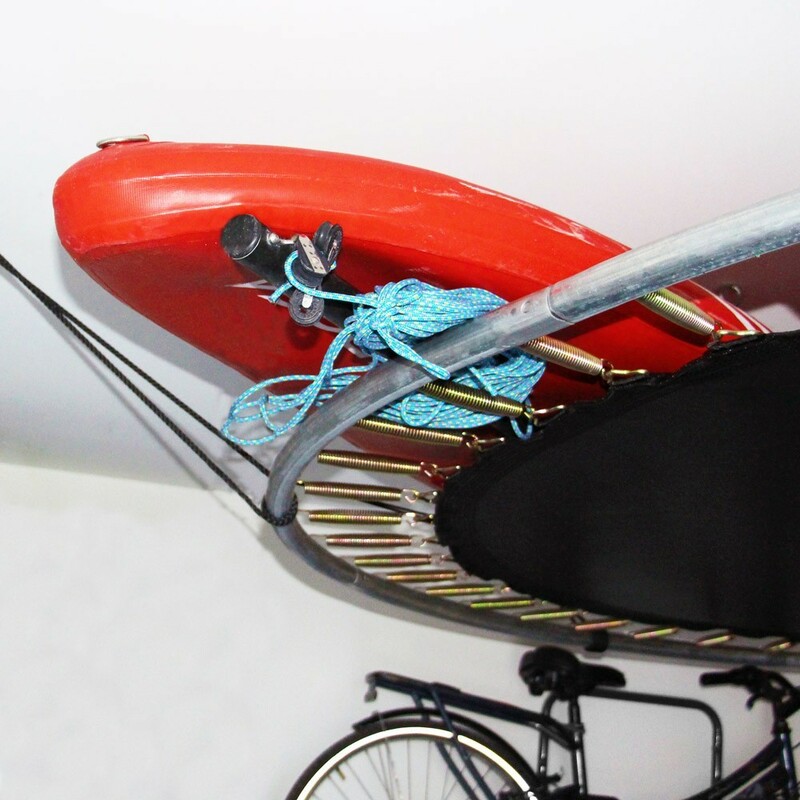 - Holds a maximum weight of 100kg, this garage storage provides a wide storage space. 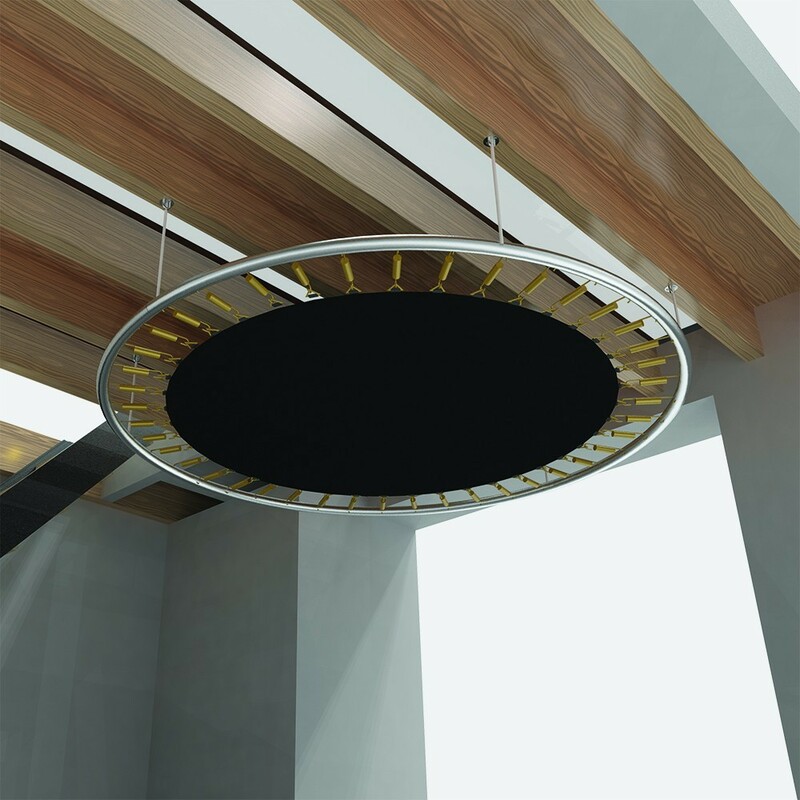 With a 305cm diameter, you can store your large objects. 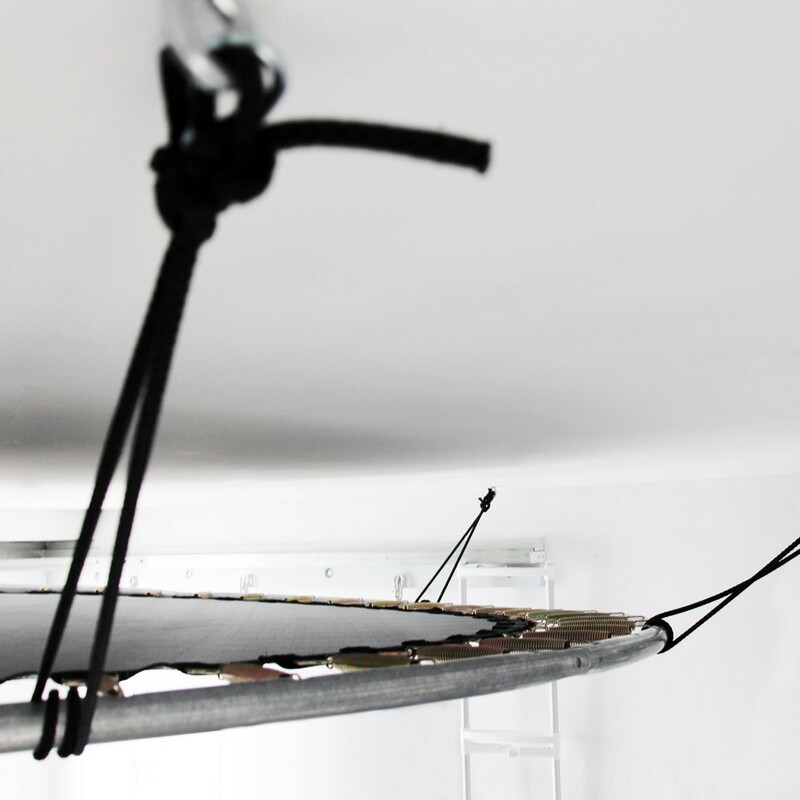 - Galvanised steel framework and reinforced canvas: robust material similar to those used for our leisure trampolines. Your garage storage unit is designed to support extreme temperatures and moisture. - Adjustable height: adjust the height of your garage-storage according to your desires and the constraints of the room. - What can I store there? 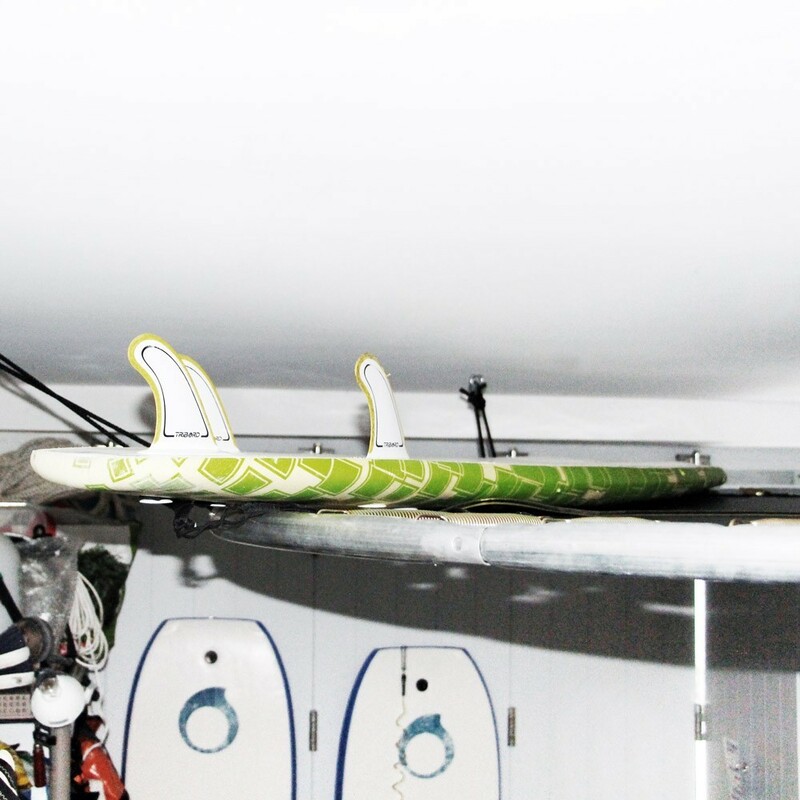 Ideal for objects that take up space and not too heavy: skis, surfboards and even suitcases are easily stored! 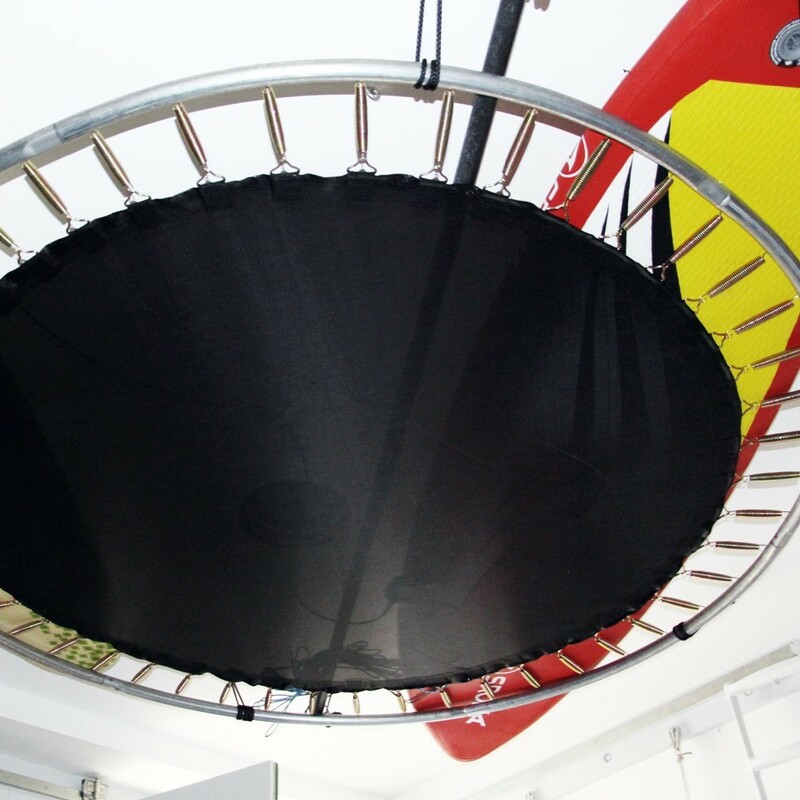 Its circular asset allows you to easily see what you have stored up there. 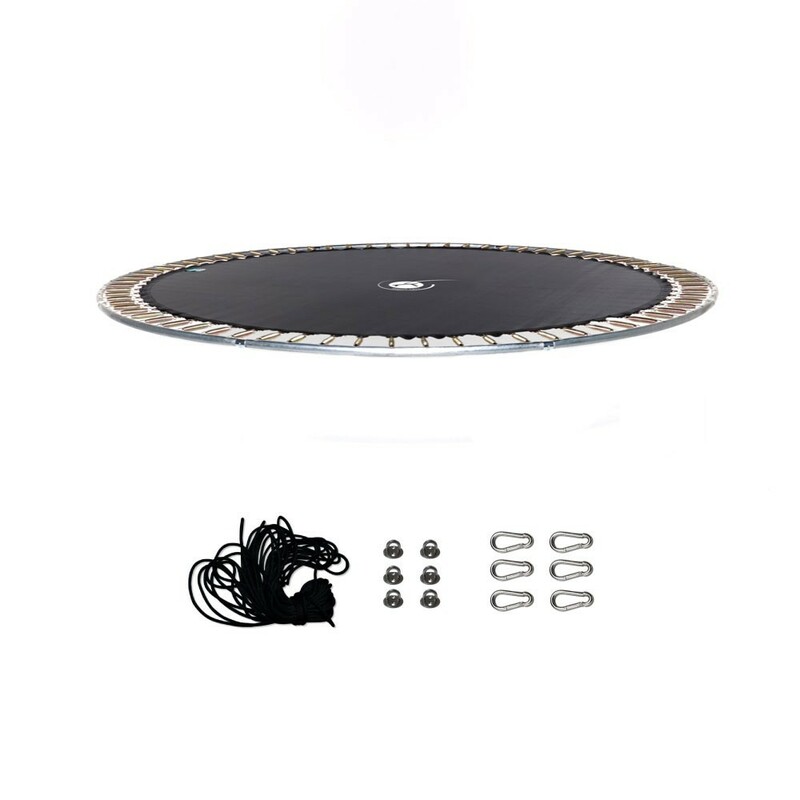 - Delivered ready to be installed: France Trampoline will deliver everything necessary to set up your garage storage unit. In your parcel you will receive: a framework, a stretched canvas, 72 springs, eye plates, carabiners and a tension cord. All you need to do is put it together and hang it from a filled material.